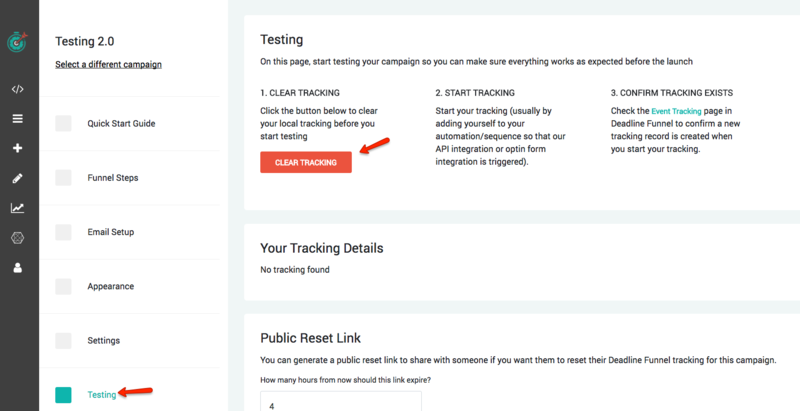 You can create a link to reset a lead's tracking by visiting Edit your campaign > Testing, and generating a 'Public Reset Tracking Link'. Copy the Public Reset Tracking link and send it along with the password to your lead. 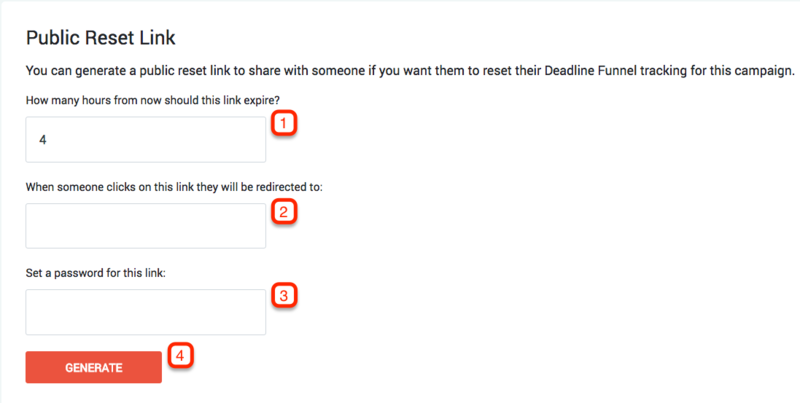 This will clear their tracking and send them directly to the URL you set in Step #2 (people often use the 'Before' URL in their Deadline Funnel settings for this step). 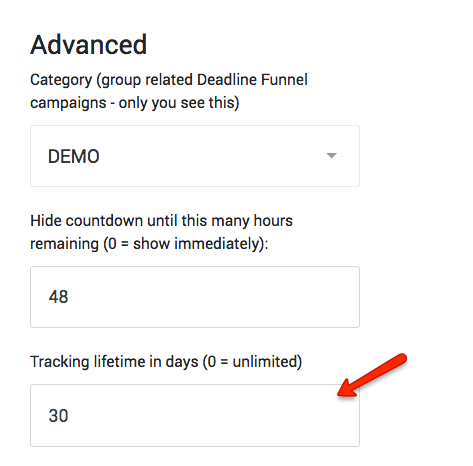 In this example I used 30 days, so 30 days after the deadline is triggered, a lead could re-enter this Deadline Funnel campaign.